The Legend of Zelda: Ocarina of Time 3D came out a couple of days ago and, if reviews are any indication, people are enjoying it. I am a long-time Zelda fan, and frequent visitors to the site won't be surprised to learn that it warms my heart to see such a positive reception for what I argue is one of the most influential games of all time. Even so, I try not to let my admiration obscure reality: Ocarina originally came out in 1998 and has been re-released on the GameCube and the Virtual Console. After thirteen years and three re-releases, the core game remains unchanged. On a broader scale, the general Zelda formula itself has not significantly changed for almost twenty years. Ever since A Link to the Past, many of the same items, enemies, and dungeon challenges have greeted old and new players alike. 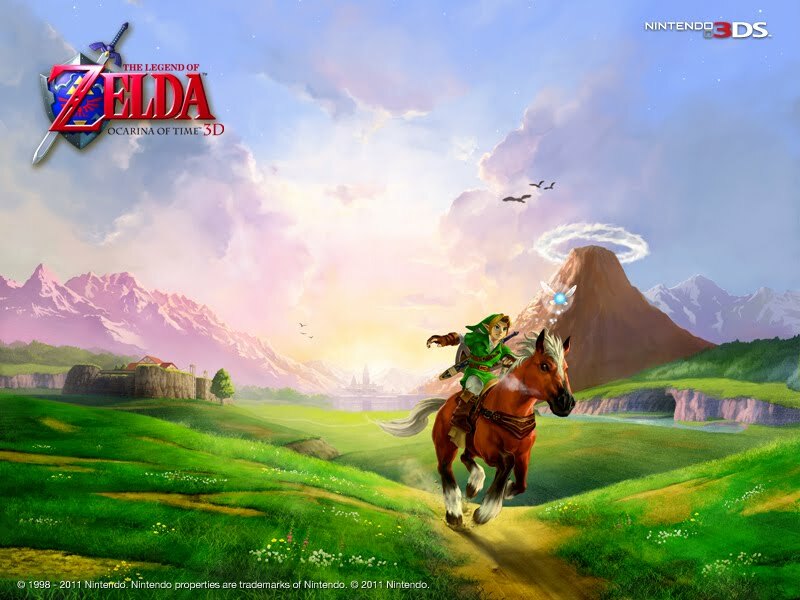 While the artistic style and input methods vary depending on the year and the console, players can be certain that they will be lighting torches, throwing boomerangs, and fighting for Hyrule's salvation. A couple of days ago, our friend Steven O'Dell posed a question on Twitter regarding why people were freaked out about the new XCOM game's divergence from its predecessors. A similar question could be asked about Zelda: Would it be so bad if the series went down an unfamiliar path? Unlike the forthcoming XCOM game, it looks like The Legend of Zelda: Skyward Sword will be a traditional addition to the series. For me (and I suspect many other fans) this is a good thing, as part of what makes Zelda valuable is its familiarity. Depending on the Zelda game, the Goron tribe can be portrayed as jolly band of hill folk or a fierce mountain race, but certain themes of patriarchy, honor, and courage bind these interpretations together. Zelda is not unique in this regard, as human culture is replete with variations on core narratives. In Norse mythology, one storyteller's Loki might differ from an other's, but the character's capacity for both mischief and malice is a recurring theme. The audience's knowledge of this fact becomes a meta-layer for the myth, as the story of the character in a specific re-telling subtly shapes the greater tradition. Each time we find the Master Sword in Zelda, we are doing it for the first time within the context of that game, while simultaneously adding to the grand body of mythology. Such adherence to tradition connects us with the past while also allowing for experimentation. Zelda games often share the exact same plot and setting, but each one provides a unique interpretation of the series' conventions. Just as Franco Ziffarelli's vision of Romeo and Juliet's first meeting differs Baz Luhrmann's, so too does A Link to the Past's hookshot differ from that of The Phantom Hourglass. Even replaying the exact same game, as many people are doing now with Ocarina, can elicit different responses based on its presentation and the context in which it is played. The neighborhood church and the town of Oberammergau both stage Passion plays, but that does not mean they are doing the same thing. In a recent interview on the Playable Character podcast, Dan Norton argued that Zelda games are essentially stories about learning and maturity. With every item Link acquires, the player must practice and gain new skills, acting out a Bildungsroman that transforms Link into a hero. Such a structure ushers new players into the lore while offering veterans novel experiences in which history's echoes can still be heard. Everyone who plays a Zelda game is linked to a broad tradition of paying homage to the old legends, even as they create new ones together. There still may be more people named "Helen" or "Jesús" out there, but the sentiment is the same. Change may come to Legend of Zelda, but it must come slowly. The legend is deeply embedded in the lives of millions of people, many of whom love it for its ability to honor the past even as it moves towards the future.